​I remember sitting on my yellow couch that morning already worn out by the day. I felt like I was on a roller coaster, taking twists and turns and drops out of nowhere. Only it wasn't the physical roller coaster that thrills, it was an emotional roller coaster. exhausted by it all. Why is life so dramatic? There had to be a better way. And that's when my mind automatically turned to the Bible. One of the most life-changing lessons God has taught me has to do with perspective. Specifically, His perspective being more advantageous than mine. As I have lived life with it's ups and downs, and as my faith has matured, I have learned to quickly transition from what I am thinking about a particular situation to asking what God has to think about it. I have found His perspective is really all that matters because of numerous reasons. God is All-Knowing therefore He has the wisest, truest perspective that I can trust. My perspective can be skewed because of ignorance, emotions and pride. God is All-Loving so I can trust that His perspective will always have my best interest at heart. He loves me like no other AND He loves others just as much. It is a perfect love which drives out all fear as I rest in the fact that His perspective will be fair to all in any given situation. God is All-Powerful, bringing everything and everyone under His authority and submission. He is fully able to control and navigate me and my circumstances. 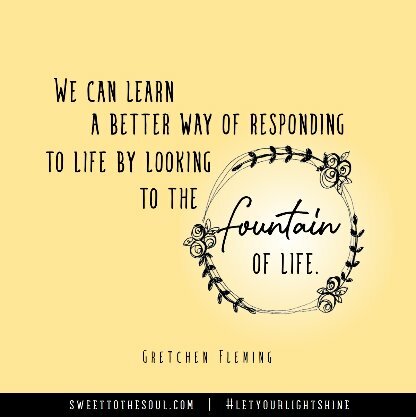 As I sat on my couch that morning, with my inadequate perspective in need of the Lord's, I understood full well that He IS the fountain of life and in Him I see things as I should. This change in perspective happens as I begin to consider what the Word has to say about my circumstance, because it is in the Bible that I learn what His perspective IS on any given situation. For instance, that particular day I was drained from the emotional highs and lows of family life. When you have family members going through the peaks and valleys of their own lives, it is hard to not get caught up in their drama. Whether they are experiencing the greatest of achievements or the worst of defeats, it can all get to be too much. I liken it to getting caught up in their dust storm. It is way too easy to get carried away. The tension exists as I yearn for steadiness and consistency. Mind you I am not saying flat emotions, just steady emotions. And that is what brought Jesus to my mind that day. While experiencing the ebb and flow of two family members' emotions, connected to their ongoing goals and struggles in life, I realized there had to be a better way of handling this thing called "life"! My mind remembered Jesus in Luke 4:14-30. Jesus went from being praised in one place to being driven out of town in another. The highs of people thinking He was wonderful and then the lows of people trying to throw Him off a cliff were extreme to say the least. Yet Jesus handled it with such peace and perspective. He did not get caught up in the fame, nor the infamy. It simply said He "went on His way". He had stayed firmly rooted in His God-given purpose, preaching the good news, knowing that the praise and persecution were under God's control and not for Him to be overly concerned with. He entrusted it to whom it was meant and then He rested in that knowledge. Jesus abided in the All-Sufficiency of His Father, which enabled Him to maintain composure. Pondering how Jesus handled His life so calmly helped me see how I could as well. This lesson from Jesus reminds me of why I look to Him for perspective. I learned the better way of responding to life by looking to the fountain of all life and learning from His example. 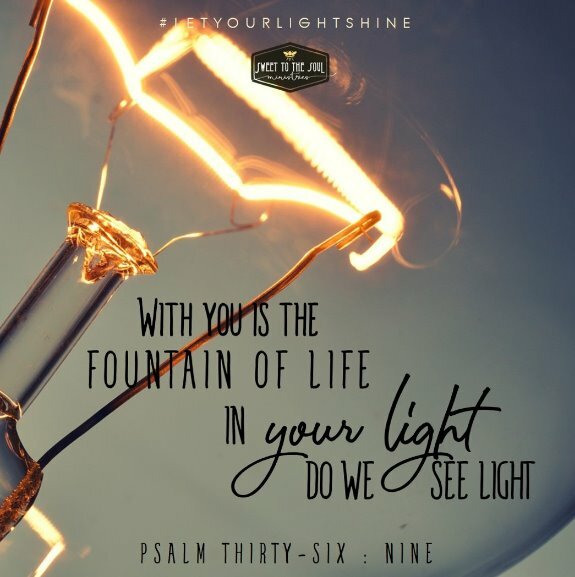 It was in His "light" that I saw my light, a better perspective. Who better to glean perspective from than Him? Having lived long enough and hard enough to understand my own deficiencies, I am assured that God absolutely has the perspective I need and can't live without! Heavenly Father, give us eyes that see and ears that hear. May our hearts not be rebellious, clouding our way and making life more difficult. For with You we find our fountain of life, giving all that we need to find the better way through the highs and lows of everyday living. In Jesus’ name, Amen. ​Gretchen Fleming’s passion is to follow hard after Jesus, knowing He is the treasure of a lifetime and worth every minute she commits to Him. 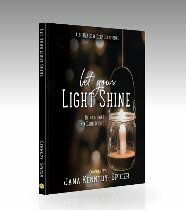 She is a Bible study writer, teacher, blogger, and speaker who loves to see Jesus change lives as He’s changed hers. It’s a joy for her to share with others the Truth that can give perspective and perseverance, no matter what we face. Join her community at gretchenfleming.com for her blog and Bible study.